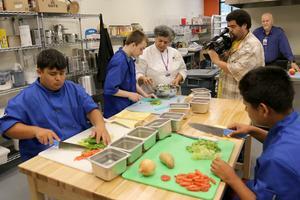 WBIR Channel 10 News visited TSDK's Culinary Arts Program on Tuesday, September 18th. WBIR Channel 10 News visited TSDK's Culinary Arts Program on Tuesday, October 18th. The story was aired on Live at Five at Four on Tuesday, September 25, 2018. To see the interview and full story, click on the link below.